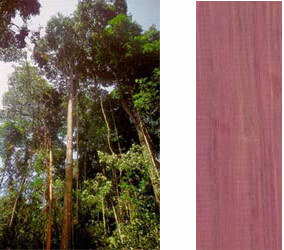 Yes, you too might be convinced that the wood called purple heart is dyed to get that vivid color. Or maybe that it’s not a wood at all. Well, it most certainly is. Believe it or not, Purple Heart may come from about 20 species within Peltogyne, which is found throughout Central and South America. 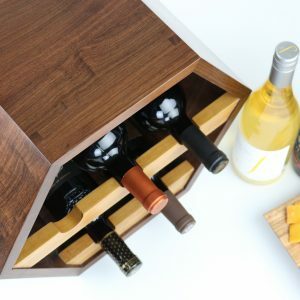 The wood from each species is so similar in appearance to one another that the industry accepts them all to be allocated and distributed as one. 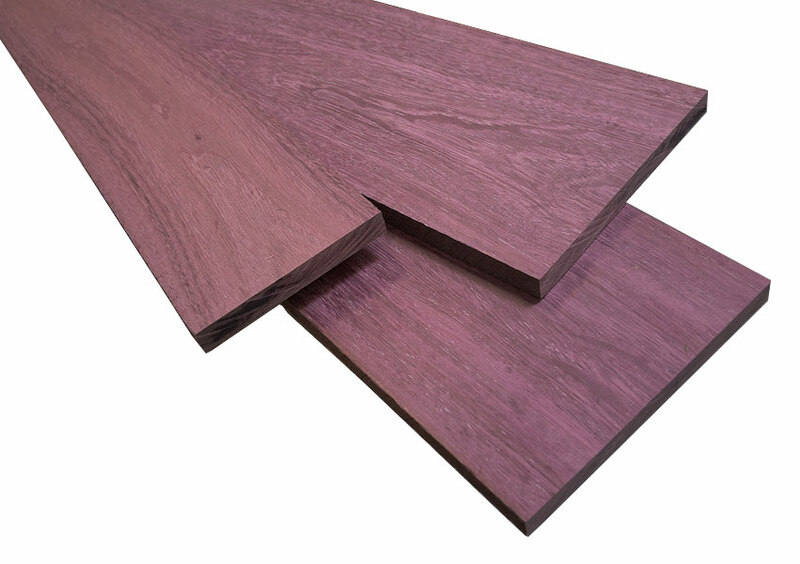 Trees grow to enormous heights of 170 ft with diameters to 4 ft (but usually 1.5 to 3 ft); boles are straight, cylindrical, and clear for 60 to 90 ft which is why you’ll nearly always get totally clear boards of purple heart. It’s a great tree that yields a lot of good lumber. 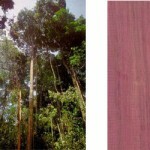 The wood is a worldwide favorite due to its deep purple color. Freshly cut, the wood actually shows a dull gray color but it turns purple upon exposure to air and light, and pretty quickly too. Just set a fresh cut board out in the sun one morning and by afternoon you’ll notice a significant change. 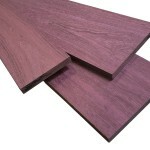 Over time the wood does darken, some to a dark brown and others just to a darker purple. Oil finishes will speed the darkening. Otherwise, lacquer and water based finishes will hold the color longer. 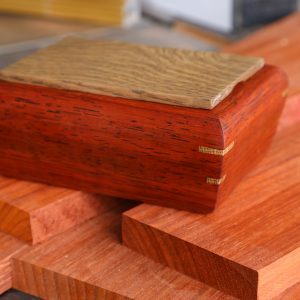 Before applying the finish, put your project in the sun for a few hours. This will make the color more intense. The grain is typically straight but some material may exhibit a particularly interesting roey or curly grain pattern on quarter sawn surfaces. The wood is hard, heavy and can be pretty rough on tools. Sometimes it may be difficult to work due to hardness and a tendency to splinter when routing, chip when planing, or burn when sawing. 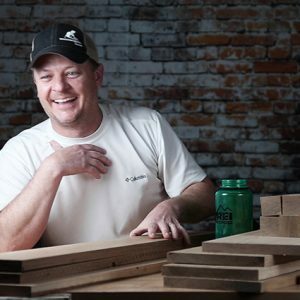 If your project calls for screws in the joinery, take precaution by pre-drilling the holes. On the upside, purple heart glues easily, polishes well, and brings a nice wow factor to the finished project. There is a high degree of variability in cutting characteristics, depending on the piece of wood or possibly the exact species of Peltogyne. 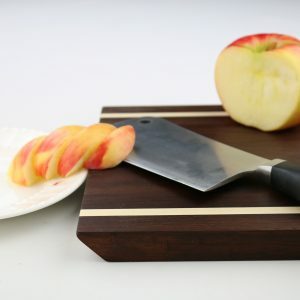 Some wood seems to be relatively soft and easy to cut while other wood is so hard it burns. Watch for burning while routing as it is pretty easy to burn if your cutter is dull or you’re going too slow. Burn marks are pretty difficult to remove. 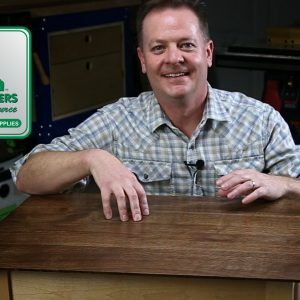 Watch carefully the grain direction when planing boards that show an interlocking grain. It has a nasty habit of tearing out when you least expect it. One summer my brother, during his college days, worked down in Guyana on some volunteer construction projects. He came back telling us how purple heart was the standard framing lumber they used. Even though they employed green lumber (un-dried) they still bent three nails for every one that made it through. Turners tend to love working with purple heart, especially with sharp chisels as it can come to a beautiful sheen. And despite its hardness and shop hardships, it’ll always come out looking incredible, like that dramatic art-deco chair built by Matt Sandoval at the top. Feel free to comment below! Have you used purple heart? What are your impressions on the wood?